Kangana Ranaut's beloved sister Rangoli Chandel has been very active in her social media account, where she, like Kangana, openly expresses her feelings to everything. Rangoli Chandel is not afraid to call a spade a spade, and has also joined the entire Bollywood Brotherhood because he founded his own gang and does not support Kangana's films. After the release of the film, when the entire audience and critics were all praised for the film, supporting the historic drama that honors the sacrifice of a queen to her nation, many Bollywood celebrities decided to stay in their social media tweets or posts nothing to support the movie. This angered Rangoli and Kangana Ranaut, and while the former openly beat it on Twitter, the latter was openly talked to the media. Today Rajkummar Rao is one of the few who recently went to Twitter from Manikarni to Twitter and praise the film with an open heart. He wrote: "I just saw Manikarnika. An amazing movie documenting the life of the Queen of Jhansi. Kangana was as phenomenal as Rani Laxmi Bai. I can not wait for you to watch. 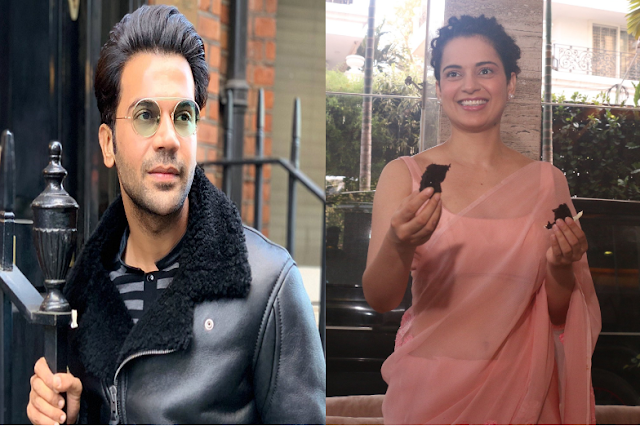 Kangana Ranaut and Rajkummar Rao are working on their next film, Mental Hai Kya, written by Kanika Dhillon and produced by Ekta Kapoor. The film will feature Kangana and Rajkummar after their final feature, Queen 2014. Mental Hai Kya is scheduled for release this May.